This post will focus on one particular ingredient: fresh tomatoes. Last spring I planted several tomato plants, both the plum variety and juicy round ones. I don’t know if I have especially fertile soil in my yard, if these plants are a particularly hardy breed, or if I do have a special touch, but I had a stellar crop for the second year in a row. My life became a mission to keep these from going to waste. For some weeks, I measured at least a pound of tomatoes becoming ripe on a daily basis. I was seeding, dicing, blanching, stewing, and freezing as fast as I could. 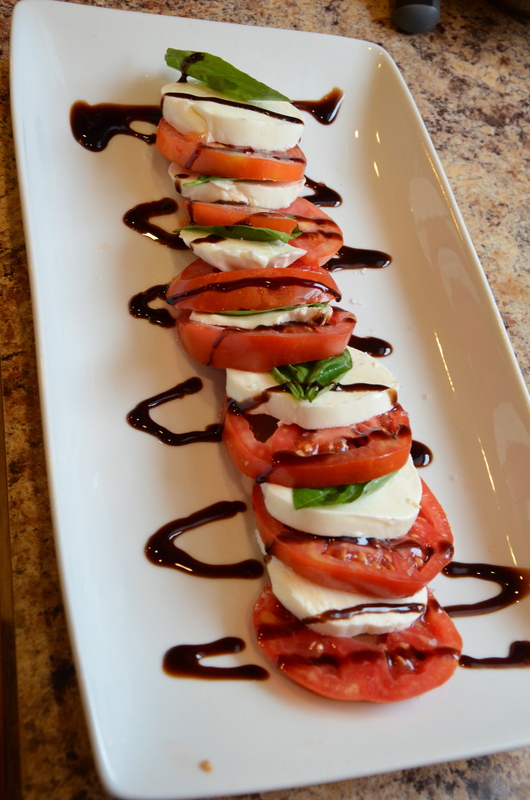 Here are some of the ways I put tomatoes to good use. Oven-dried “sun-dried” tomatoes. I referenced allrecipes but all that says is bake for 200 degrees until you think the texture is right. Mine probably took 10-11 hours. I wasted too much time reading the debate over how to store these, ultimately deciding to freeze them in a baggie. They did just fine. 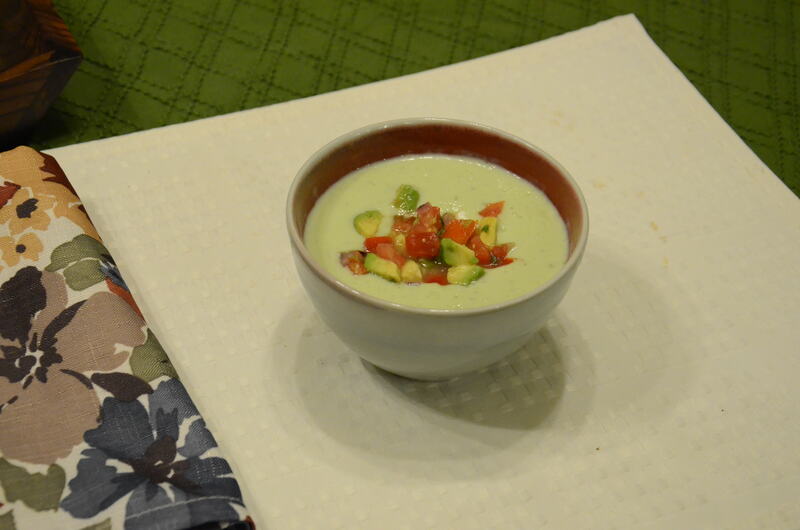 Cucumber and Avocado Soup with Tomato and Basil Salad – I thank my farm share for this inspiration. I generally avoid cold soups, but after this refreshing version perhaps I’ll give them more of a chance. Basil is another plant that thrives in my garden in the summer. And though I didn’t grow cucumber myself this year, my neighbor bestowed me with an enormous one from his garden. (This was after I had pushed some of my tomatoes on him previously.) Neighbors sharing what they have in abundance — I love it!